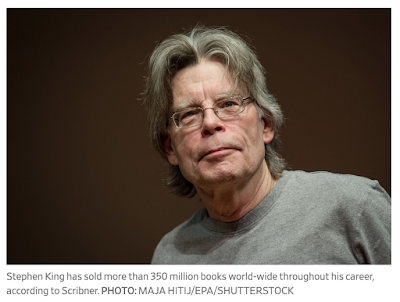 There's a new app that will tell you which of Stephen King's more than 50 books you're most likely to enjoy. The app, entitled Stephen King Library, starts with an eerie splash of music and then a voice "that sounds suspiciously like 'Twilight Zone' narrator Rod Serling asks seven questions." Then the app spits out the names of a few Stephen King books it thinks you'll like. "be completely freaked out by and start sleeping with all the lights on." Check out the Friends on Facebook to read the article.